The challenges of parenting in the digital age. Steve Jobs didn’t let his kids play with iPads and, far from being out of touch with modern parenting, it turns out that he was being quite progressive. 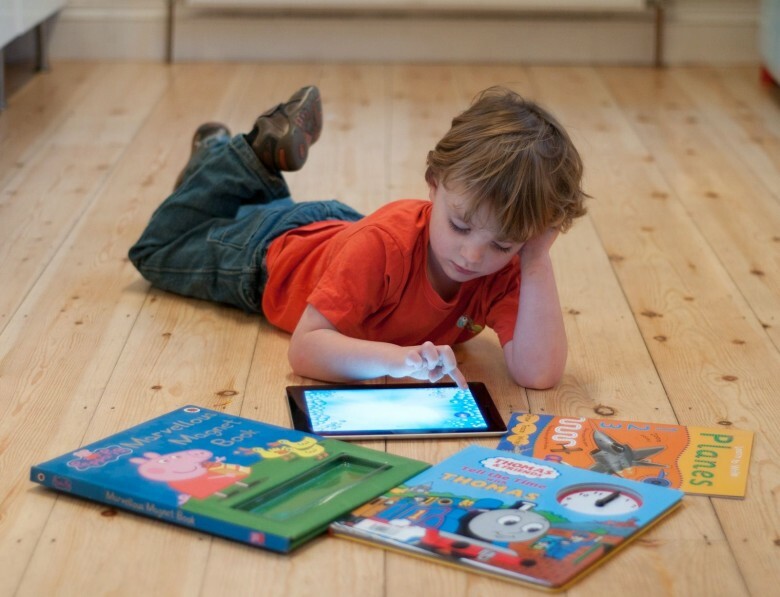 That’s according to a recent study carried out by the University of Michigan, which found that parents with “difficult” children are far more likely to give them iPads to pacify them — particularly during high-stress times like eating, being in public, doing chores, or going to bed. For the study, the parents of 144 healthy kids from low-income families (that’s probably the Jobs family out of the running then!) were interviewed about the likelihood of employing a tablet during different scenarios. A link was found between those with badly-behaved kids, and those likely to hand over a mobile device in the scenarios described. “We found that the less control and more frustration parents felt over their children’s behaviour, the more likely they were to turn to mobile devices to help calm their kids down,” said the study’s lead author Dr. Jenny Radesky. It should be pointed out, of course, that “iPads” in this scenario seem to be being used as a generic catch-all to describe tablets. Although Android devices aren’t explicitly mentioned in the report, I’d be shocked if the brand of device made any difference whatsoever — aside from kids maybe being more drawn to iPads overall. There is also no emphasis on causation rather than correlation, meaning that the “shock horror” headline about iPads causing bad behavior is thankfully not mentioned. But the bigger question of when parents should use mobile devices around kids is an important one. In a restaurant recently, I sat next to a family with a badly-behaved child, both of whose parents totally ignored him to stare at their own tablets. Everyone reading this will also likely have seen kids given tablets to play with to stop them getting bored and interrupting grown-ups. At the same time, it’s impossible to deny the benefit of educational apps — and to ignore the fact that, at some schools, kids now spend up to 75 percent of their days using iPads. Do you have kids? If so (or even if not!) are you surprised by this particular study and its conclusions? How do manage iPad time for your kids, making sure they get as many of the positive opportunities it offers without the negatives? Leave your comments below.